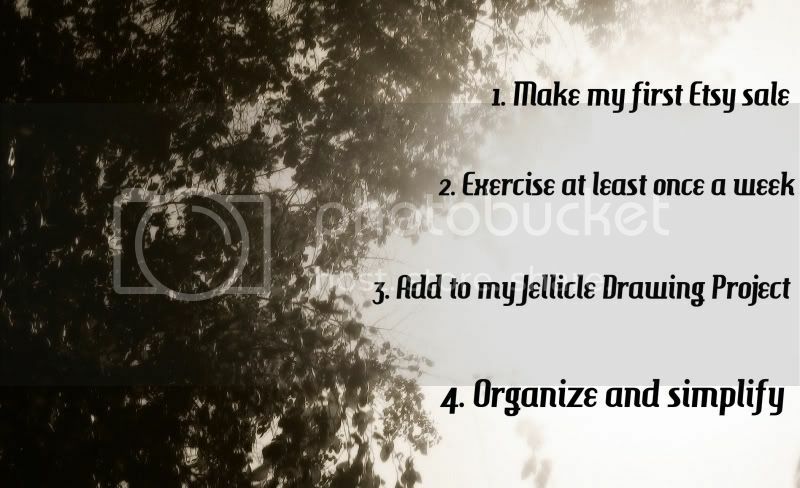 MagicCatJenny: 4 Simple Goals *before 2013! : Results! 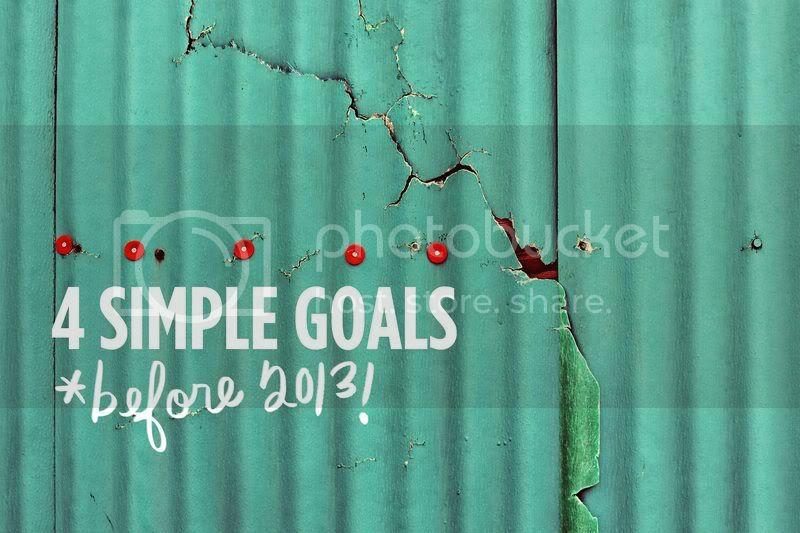 4 Simple Goals *before 2013! : Results! The adorable lifestyle blog, A Beautiful Mess, created this blog 'tag' around September of last year. The original post is here. It is now 2013 so lets see how I did! You can read my first post about this here and read my progress post here. 1. Make my first Etsy sale. It's sad that the very first goal was a fail. It was the goal most out of my hands but I am still disappointed about it. I did, however, sell some crafts and Nerdy Monsters at the Whimsic Alley Craft Fair. My Etsy account is still at 0 sales. Moving forward, I am going to add more variety to the store and take more product photos and maybe even spend some money on ads. 2. Exercise at least once a week. Ah. Another semi-fail. I have been exercising, but I would be lying if I said I've done it each and every week since starting this project. Some weeks I exercised a few times others, not at all. There are tons of excuses I could give you, but really this goal is just going to take more time than I thought to really get the hang of. 3. Add to my Jellicle Drawing Project. Finally, a goal I can say with confidence I suceded in! It was only an hour of work but sitting down and actually drawing has been hard ever since high school ended. So, I'm proud of myself. The character I drew is The Rum Tum Tugger, and he is quite cute if I do say so myself. 4. Organize and simplify. I bought a new desk, got rid of old clothing, organized my craft supplies, and yet I still feel I have a long way to go. I conceder this goal achieved since the difference is very noticeable. I just don't feel satisfied enough to stop. Organizing my life is something I will never really be done with. This was a fun experiment and though it was only really half successful, I had fun. Perhaps I'll do more of these goal things this year.